On November 18, 2018, Patsy Elouise Wall Pyron left her physical body and is now in the presence of her Lord and Savior Jesus Christ. 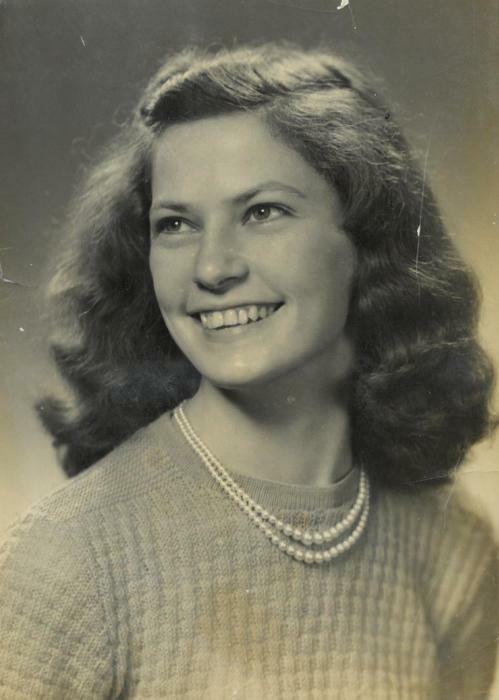 Patsy was born on July 7, 1931 to Vessie T. Wall and Nettie Wall. Patsy leaves behind the love of her life, her “honey” Sonny Pyron, who she married on December 16, 1950; her beloved daughter’s, Elouise Allen and Judy Scearce (James); grandchildren, Jay Allen, Penny Manning (Mike), and Amy Jennings (Joshua); four great-grandchildren; four sisters; and two brothers. She was predeceased by four sisters and one brother. Patsy was a member of Schoolfield Pentecostal Holiness Church and attended Riverview Baptist Church. Throughout her years of life, she taught Sunday school and loved working with the youth and missions. She retired from Dan River Mills and Star Paper Tube Co. Patsy loved to work in the garden, fish, cook, and love on her family. Graveside services will be held at 11:00 a.m. on Tuesday, November 20, 2018 at Danville Memorial Gardens with Pastor Daniel Custer officiating. Visitation will be held on Monday, November 19, 2018 from 6:00 until 7:00 p.m. at Swicegood Funeral Home. Swicegood Funeral Home is respectfully serving the Pyron family.